Smashwords (Smashwords, Inc.), based in Los Gatos, California, is an ebook self-publishing and distribution platform founded by Mark Coker. The company began public operation in 2008. Smashwords is a self-serve publishing service. Authors upload their manuscripts as Microsoft Word files to the Smashwords service, which converts the files into multiple ebook formats for reading on various ebook reading devices. 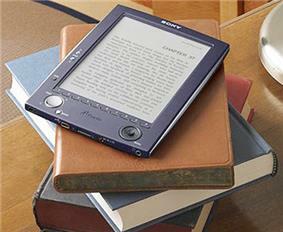 Once published, the books are made available for sale online at a price set by the author. Smashwords does not use DRM. Coker began work on Smashwords in 2005 and officially launched the website in May 2008. Within the first seven months of launching, the website published 140 books. Due to initially low profits, Coker switched to a distribution model that offered retailers a "30% commission in exchange for digital shelf space". 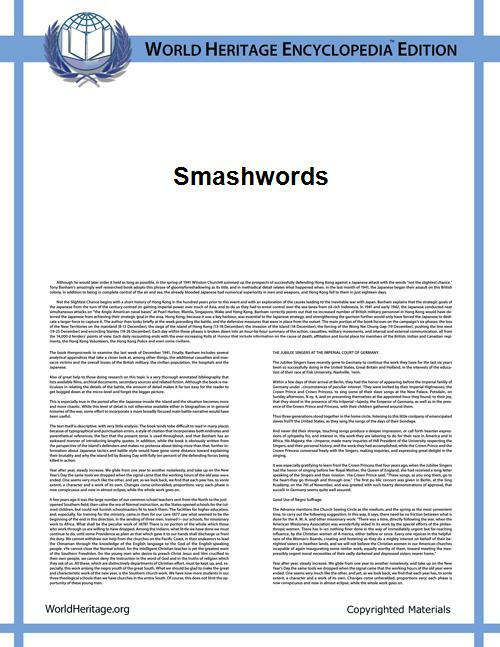 Smashwords achieved a profit in 2010 and has partnered with Apple, Barnes & Noble, Kobo, and Sony. Smashwords also uploaded books into KDP, Amazon.com's ebook publishing website, but until February 2014 no longer offered the service, due to a falling out with Amazon. As of February 2014, limited distribution to Amazon via Smashwords resumed. In 2012, Smashwords announced that it would potentially partner with 3M Cloud Library, which would allow for the option for their authors' books to be available in libraries, and that it had reached about 127,000 titles by 44,000 authors. The company later reported that, at the end of 2013, unique titles had grown to 276,000 from over 83,000 authors. Some Smashwords authors distribute free copies of their books via lotteries at such sites as LibraryThing and Goodreads, in exchange for reader reviews. Smashwords reports they are the leading distributor for indie authors. Mark was very forward-thinking, and the way he set the company up appeals to independent publishers," said Joel Friedlander, a book designer with Marin Bookworks in San Rafael and an expert in self-publishing. "There's no cost, no frills, it's a quick way to get your e-book into print, and you can do it in a day." Coker, a former Silicon Valley publicist, started Smashwords in 2008 with the lofty goal of using technology to democratize publishing - allowing writers to appeal directly to readers without having to deal with gatekeepers such as agents and editors. In keeping with this mission, Smashwords applies no editorial screening. The only e-books Coker refuses to distribute are ones that contain plagiarism, illegal content or incitement to racism, homophobia or violence. As a result, Smashwords e-books might be riddled with grammatical errors, typos and writing that an English teacher could cringe over. ^ Mark Coker (2013-12-31). "Smashwords Year in Review 2013 - Indie Authors the Stewards of Publishing's Future". Retrieved 2014-07-03. ^ DeBare, Ilana (May 9, 2011). "Smashwords gets self-published e-books to market". The San Francisco Chronicle.